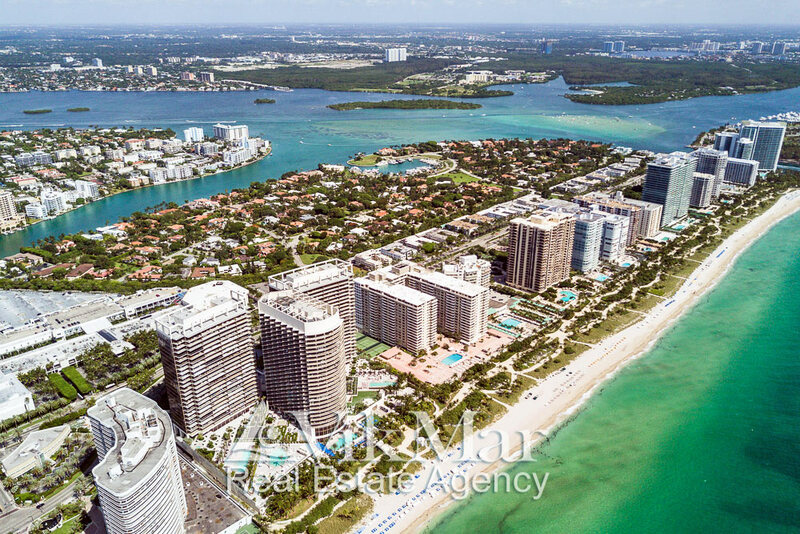 For a half of the century, the district of Bal Harbour is well-known as the ‘American Riviera’ , as well as one of the most prestigious and comfortable areas of Miami Beach. Its ultra-luxurious urban environment became a non-divided part of magnificent tropical landscapes of south-eastern coast of Florida, the USA. Photo of the panoramic view to the Bal Harbour area gives a visual idea of its location in the northern part of Miami Beach, as well as shows the beauty of tropical landscapes of the barrier islands, together with the ultramodern architecture of complexes built during the last decades on the side of the Atlantic coast and Biscayne Bay. In accordance to the administrative division of the United States, the residential area of Bal Harbour Village is a Council-Managed Village in Miami-Dade County, Florida. It has got this status on August 14th, 1946, and which was approved again in 1947 by a special act of the Legislative Assembly of Florida. The original name of this residential area ‘Bay Harbour’ was transformed to ‘Bal Harbour’ by combining into the word ‘Bal’ the letters from words ‘Bay’ and ‘Atlantic’. Within the administrative boundaries of this elite resort enclave there are 0.99 km2 of land and 0.67 km2 of marine water-area. Bal Harbour is an elite suburb of Miami Beach and a part of the urban-agglomeration the Greater Miami Area. 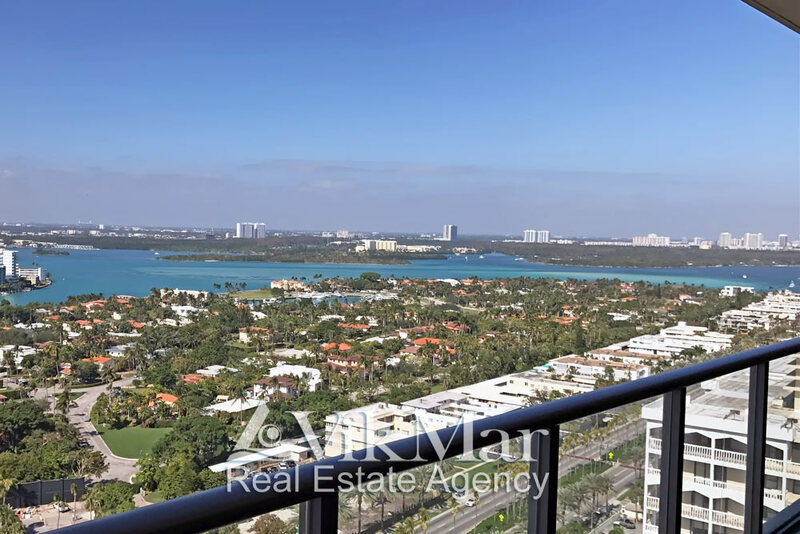 Currently, over 3,000 people permanently live in the Bal Harbour area, including about 1% of the population with the Russian Federation’ origin. The ‘Bal Harbour Village’ settlement was pre-planned and implemented as an exclusive residential community, which has its own rules and regulations, providing high-quality of life and public safety. Popular in 1950s brilliant TV- and radio-shows created by the famous entertainer Arthur Morton Godfrey were broadcasted from Kenilworth Hotel on Miami Beach, drawing the attention of the whole country to this resort area over 60 years ago. Since that time, the Bal Harbour area and Miami Beach have earned their fame of the American Riviera, which is visited with pleasure by the most famous people of art, business and political elite from all round the world. For a long time, the hotel complexes of Bal Harbour hosted the most important national and international forums with personal presence of four presidents of the United States of America. 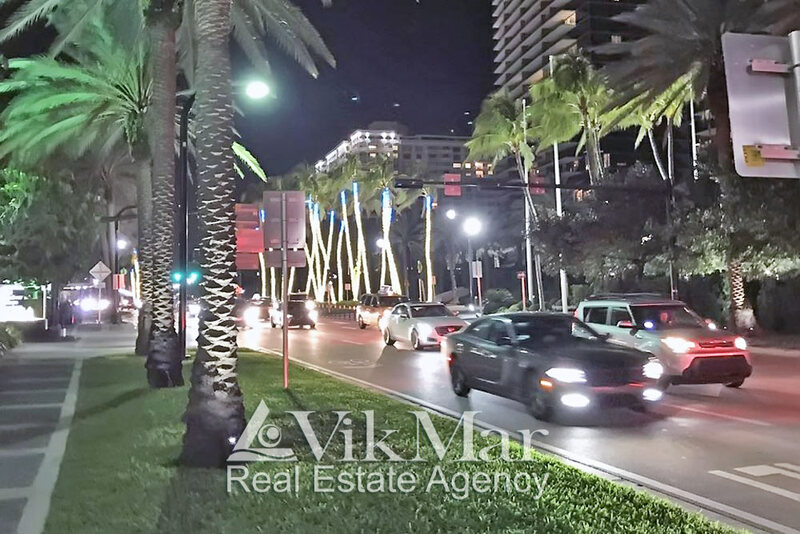 Variety and luxury of elite shops and fine cuisine restaurants, as well as annual cultural events and festivals, are recognizable as the business card of the Bal Harbour area. In December 2017, Bal Harbour became the first municipality in the US history which adopted a wide range of legislative measures to preclude and prevent illegal activities motivated by anti-Semitism and racism. Despite the fact, that Bal Harbour is located on the peninsula, the modern road infrastructure with bridges and highways allows its residents to have convenient transport access to regional reserves and garden complexes, business and entertainment centers of the city, as well as to international airports and cruise ports of the Greater Miami. Residential developments in the Bal Harbour area. The history of construction in the area of Bal Harbour started in the 1920s after the ‘Miami Beach Heights Corporation’ has bought 0.99 km2 (245 acres) of undeveloped plot of land in the northern part of barrier islands of Miami Beach, partially swampy coastal land overgrown by mangrove, which was stretched between the northern part of Biscayne Bay and the Atlantic Ocean. 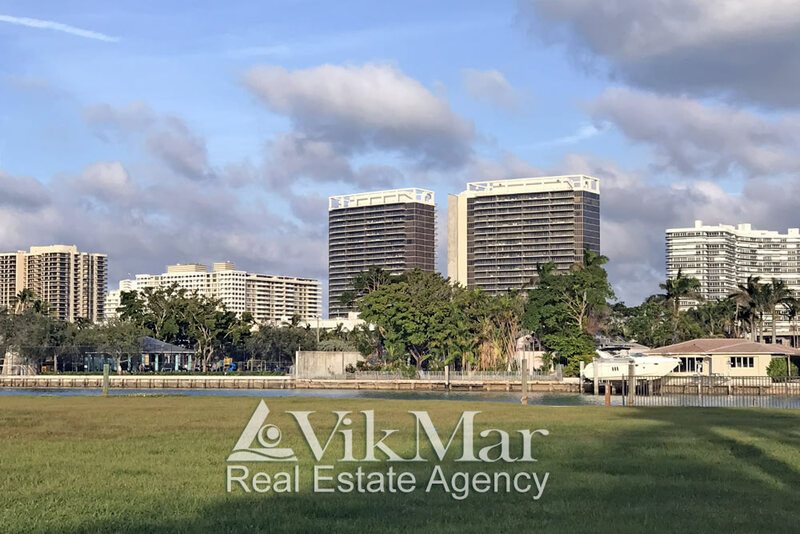 In 1925, just next to the northern boundary of this plot, the second in Miami waterway was built, following the construction of the navigable port ‘Government Cut’ in 1906, which has separated the Fisher Island from the barrier islands of Miami Beach. The new waterway also crossed the narrowest area of the sandy ‘neck’ connecting the barrier islands, also known to sailors since 1823 as ‘Baker’s Haulover Inlet’. 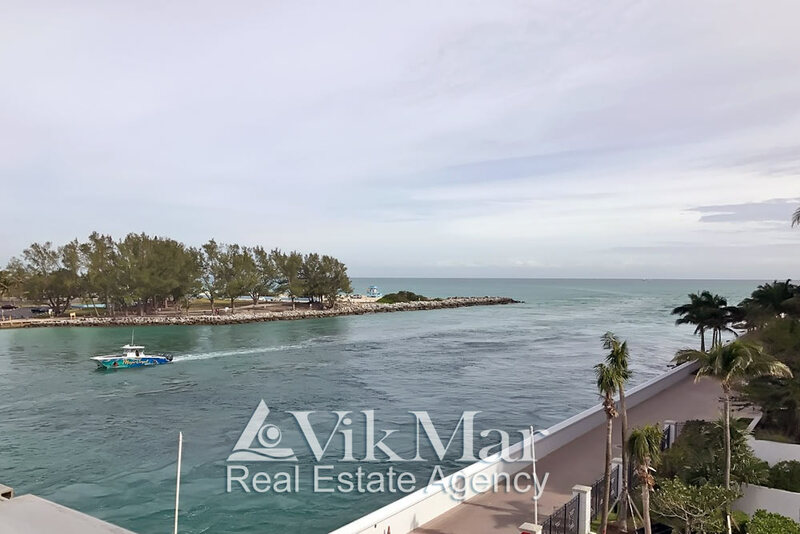 This construction created a convenient nautical connection between the coastal areas of Miami near Biscayne Bay and the Atlantic coast. In the same period of time, a wooden bridge was built above the constructed waterway. Later, its place took a bridge-overpass, which currently is a part of Florida State Road A1A, providing transport links for cities of the southeast coast of the State of Florida. The first draw of planning design for Bal Harbour Village was created in 1930s by the city planners Harland Bartholomew & Associates, according to the order of the industrialist Robert C. Graham, one of the co-owners of the building plots located in this area. After World War II began, housing construction in the Bal Harbour area was put on hold. During this time, the land was in usage of the US Air Cops for training camps. It is a little-known fact that during the war German submarines, crossed the vast expanses of the Atlantic, were repeatedly seen quite close to the coastal area of this region. The numerous attempts to land were made by German troops, but they were stopped by the forces of a local garrison and units of the US Coast Guard. After the end of the Second World War, the previously planned works of reclamation and support for coastal area were carried on, the construction of housing and public facilities continued on the territory of district. Bal Harbour is one of the few urban settlements in the south-eastern United States, where the construction of all underground communications was made in advance. Constructing companies have developed detailed recommendations for the planning and construction of low-rise and high-rise buildings for the entire area, organically inscribing them into naturally magnificent tropical landscape. In 1984, the residents of an exclusive neighbourhood Bal Harbour Village were successfully sued to remove the clause preventing Jews and Afro-Americans from owning property there. Collins Avenue is the main transport artery for the Bal Harbour area and its trading axis with the largest in the US shopping mall of elite stores Bal Harbour Shops. The avenue runs from the south to the north of the district area, and partly co-signed State Road A1A. 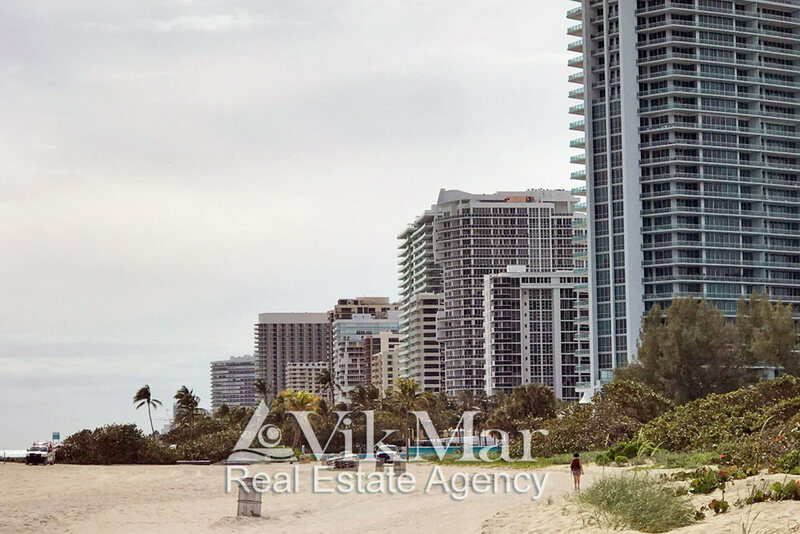 Along the eastern side of Collins Avenue, bordered by lush tropical vegetation, the frontal line of elegant high-rise condominium and hotel complexes is located, as well as the public park area with wide sandy Bal Harbour Beach, next to the turquoise waters of the Atlantic Ocean. On the western side of Collins Avenue, the development is built with low-rise free-standing residential buildings. Houses and villas located along the coastline of Biscayne Bay are the most luxurious residential properties in Bal Harbour. They have an expanded capacity, up to nine bedrooms and bathrooms, a total living area of up to 1200 m2, as well as private berths for yachts and pleasure boats. The low-rise buildings which are located in the depth of residential development of this area have up to seven bedrooms and the total area up to 700 m2. Currently, in the northern suburb’s area of Miami Beach, eight ultra-luxury complexes have being constructed, with an estimated containing about 300 housing units. The construction projects of 298 units passed the approval stage, and a project 268 new elite housing units is also completed. Residents and visitors of Bal Harbour have wonderful year-round weather condition for recreation in the tropical climatic zone on the Atlantic Ocean coast, where the warm waters of Gulf Stream passes along. Holidaymakers are welcomed to visit a landscaped park area with pedestrian promenades, and a wide sandy Bal Harbour Beach. It is located in the northern part of the 15-kilometer long beach area of Miami Beach. 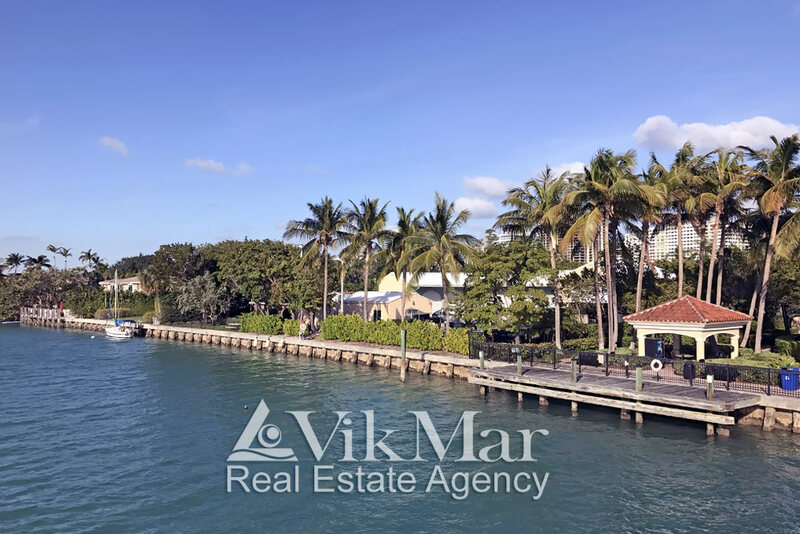 The park area with a public harbour is located at the northern part of Biscayne Bay, in the north-western part of Bal Harbour, which allows its residents to regularly sail on private yachts, pleasure boats and rowing boats. The unique nature monuments and tourist attractions for marine recreation of residents and guests of South Florida are located nearby. This is the well-warmed shallow water-area near the sandbank ‘Haulover Sandbar’, as well as small, overgrown with tropical vegetation islands with cozy and clean sandy beaches. A unique wildlife oasis ‘Oleta River State Park’, the largest city park of Florida is located to the north of the waterway ‘Baker’s Haulover Inlet’. Also, the beachfront Haulover Park is quite popular among the residents of this area, it is located on the north of waterway as well. Its multi-kilometre sand dunes of the Atlantic coast every year attract hundreds of thousands of holidaymakers and tourists to Miami from all over the world. The northern part of this beach is officially designated for the naturist community (nudists, ed.). In the southwestern part of Haulover Park, near Biscayne Bay, is located a harbour with the berths for yachts, motor-boats and small fishing vessels. They are available for renting all year round.